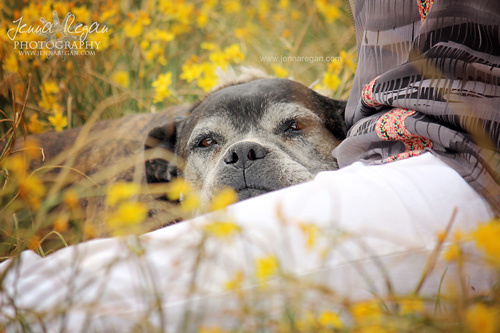 It can be a fun but challenging task to take photos of your dog! 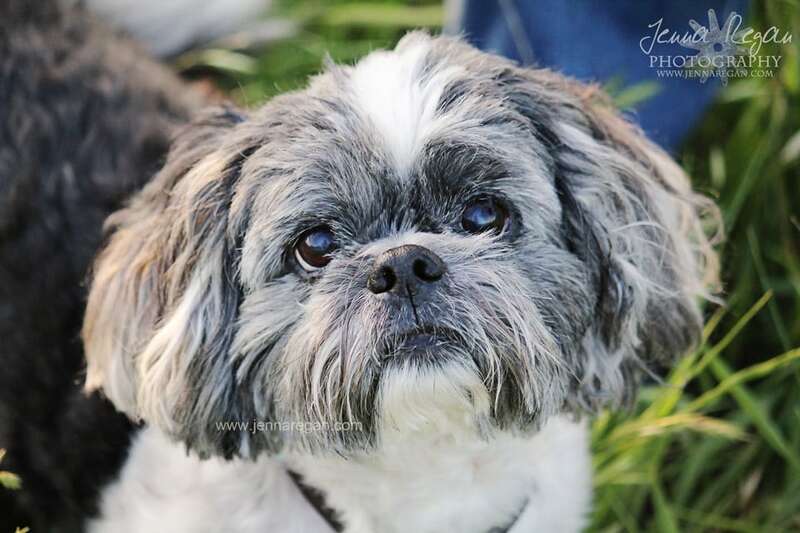 Believe me, I have photographed hundreds and hundreds of dogs and photographing my own is always an adventure! I know it isn’t easy to do well but the rewards are well worth it. So many fun memories and moments happen in a year and they deserve to be documented. So get your camera out and take some new photos of your precious pup. And of course if you can, I believe strongly in hiring a professional to get great shots of your dog with YOU in them too! Yes, having a high quality camera is a great asset in getting the perfect shot. But the equipment is a tool and it’s all about how you use it. You don’t need to have an expensive camera to get great shots. Just make the most of what you have! Now sometimes your dog will be doing the cutest thing and you just have to get that photo! You can’t worry about what’s in the background or what’s happening around your dog. All that matters is being quick and getting the shot. Of course after you take a shot or two you can then try to maneuver things around differently to minimize the clutter or unflattering background. The background makes a big difference so scan the area around your dog and see what you can do to improve it. During my photo sessions, I am all about using what appeals to the dog the most… which usually is treats but toys can also help. It never hurts to make photos fun for the dogs! If you’re using treats, break them into smaller pieces so you can give small pieces frequently. Plus feeding bigger pieces may take longer for your dog to chew (and clean up all the little pieces….) which takes away from getting the shot you want because your dog is now preoccupied with eating. 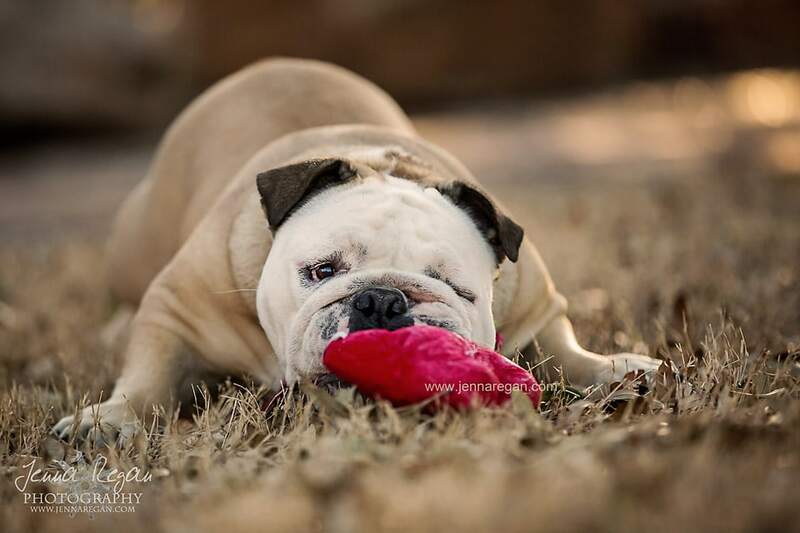 Does your dog have a favorite toy, place or past time? You know what your dog loves so incorporate that into your photo. I always try to learn as much as I can about the dog and what my clients love about them beforehand. That’s why I have a consult and planning session, either in person or over the phone, for every session. Images that capture your dog being his true self are priceless! 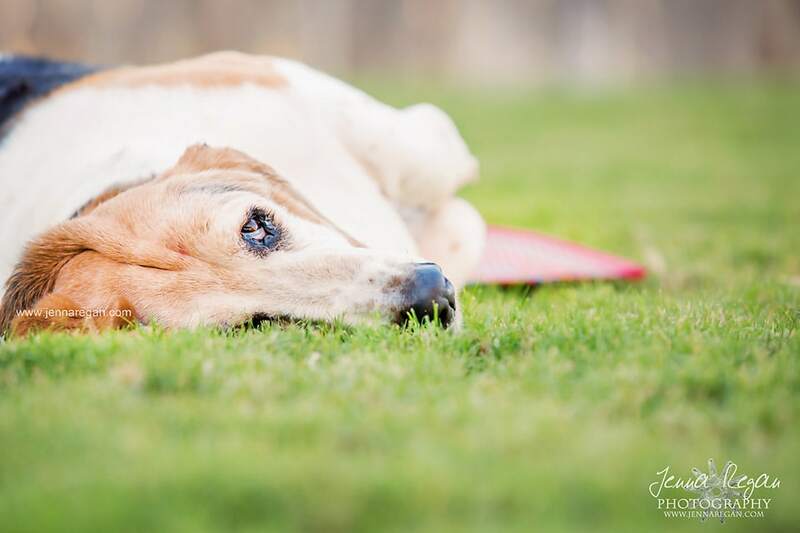 For example, if your dog loves watching the squirrels in your backyard, this can make a great shot because your dog will be intent on watching and you’ll get some fun shots of your dog being himself. Does your dog love water? Retrieving a toy thrown into a pond can also be a priceless memory. Is your dog more into stretching out and sleeping in the sunshine? That makes an adorable shot too. Whatever your dog loves to do, document it! These are the images that will speak to you and be most treasured as the days go by. Having a second pair of eyes and hands is always a great help to me! For certain dog personalities and certain types of shots, you may be able to do it all on your own and that’s great too. But if you’re going for a certain shot or have a camera shy dog, believe me, you’ll be glad to have someone who can call your dog’s name, offer treats, and move things around as needed. Dogs like to do things on their own terms so usually being in a hurry doesn’t result in the photos you’re hoping for. I know this sounds basic but it is sometimes overlooked. The more time you have and the less rushed you and your dog feel the better the photos will turn out! For my sessions I don’t have any time constraints, but most sessions take one and half to two hours. You don’t have to spend that much time, but just realize that getting frame-worthy shots takes time, even for professionals. And that’s okay! Flash can annoy your dog’s eyes as well as create that green glow, similar to the red eyes people get. Also the flash can scare your dog and give away the fact that you are taking a photo! Often I have client who tell me how their dog just knows when they are trying to take his photo and doesn’t cooperate. The flash could be one reason why! Turn off the flash and use the lack of flash to your advantage. If you need to use a flash because the natural light isn’t enough, don’t aim the camera straight at your dog’s face. Instead shoot at an angle. Taking photos from above can work if you have knowledge of angles and lighting. I love the shots when dogs are looking right up into my camera. But one of the biggest differences you can make to improve your photos is to take them from a lower angle! Go ahead and experiment to see what angle is most flattering for your dog. Check out the difference here. Think about the background of where you hope to take photos ahead of time. 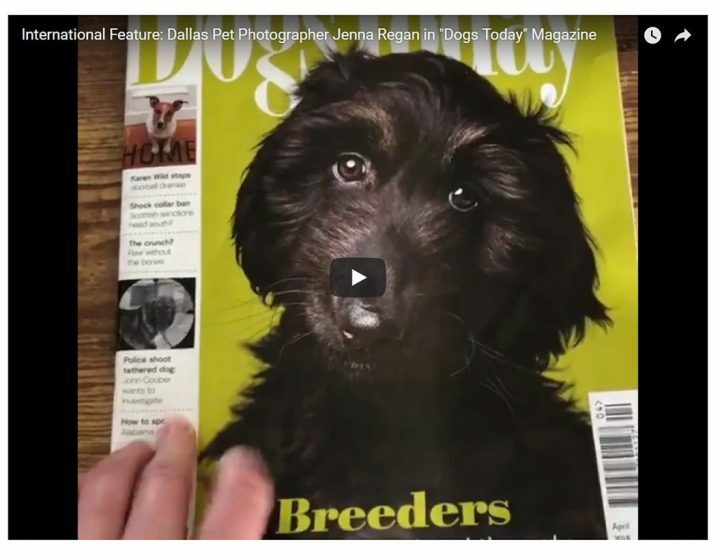 If the color of the background blends in with the color of your dog, your images aren’t going to pop. Choosing contrasting colors in the image to be sure your dog is in the spotlight and not blending in! Tip #10 Wear your dog out a little first!! During all my sessions, especially with high energy dogs, I start with playing and getting to know the dog. 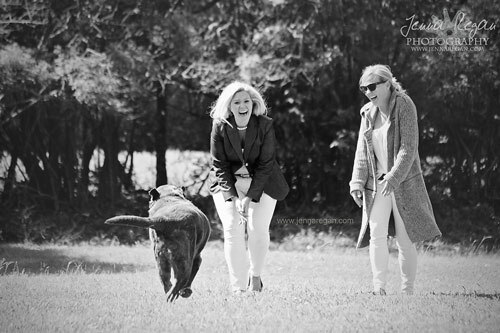 Action shots are always a favorite of mine and my clients and it’s the perfect start to a great photo session. So when tackling photos of your dog yourself it’s best not to try for the hard shots right away. Get your dog to burn off some energy by playing first. This will give you a chance to try for some actions shots too. Then after your dog is more relaxed you can try for the posed shots and shots that require a (semi) still dog. Ready to get professional photos? 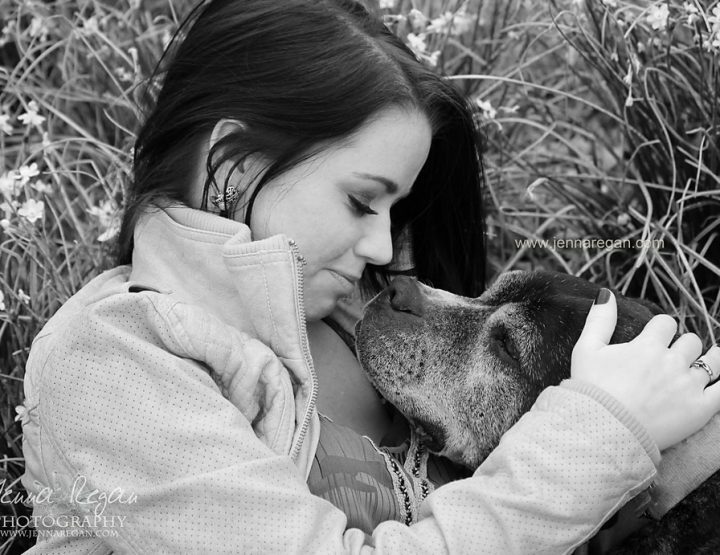 Jenna Regan Photography specializes in creating custom photographic experiences that capture the love, bond, and personalities of pets and their people. I combine an artistic eye for detail, strategic posing, and picture perfect locations, with the ability to work with dogs of all personalities, breeds, and levels of training to create one-of-a-kind artwork. The hallmark of my photography is distinctive imagery that begs to be shown off as memorable, timeless artwork. I hope with each image you’ll not only see your dog in all his glory, but also see his heart. I’d love to photograph your dog! Contact me for a free consult and we can get to planning a session tailored just for you and your dog (or other pet).